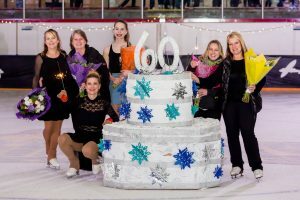 I’m excited to share the image gallery from the Delta Skating Club 60 years of Memories Ice Show! Click on the View Photos button to view the gallery. Images can be purchased for a very low price or shared directly to social media from this site. You are free to use these photos on your social media pages and website portfolios as long as due credit is given, such as the following (or similar to these formats), “Photo by: Dynamic Weddings, (must include link where applicable: www.dynamicweddings.ca), and/or social media tags @dynamicweddings on Instagram, and @Dynamicweddingsvancouver Photo on Facebook. Alterations to images including but not limited to, re-editing, cropping, addition of graphics or text overlaid on these images are not permitted; images must remain in its original condition. The use of these images as printed marketing materials, online marketing materials, selling to third parties, or entering into any contests without permission is not permitted. In order to use the images for the above mentioned purposes, a licensing fee is required. If you’d like to do so or have any questions regarding usage, please contact me at this email address: info@dynamicweddings.ca.